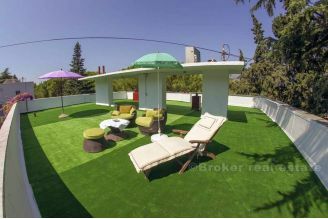 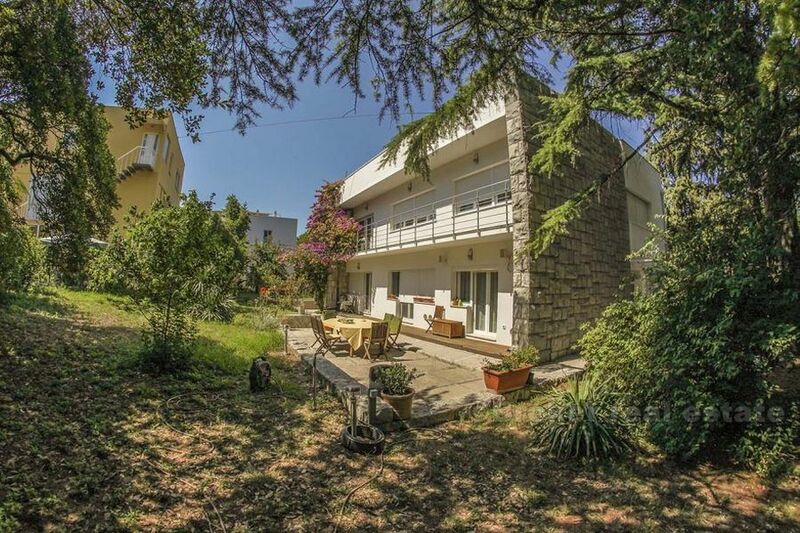 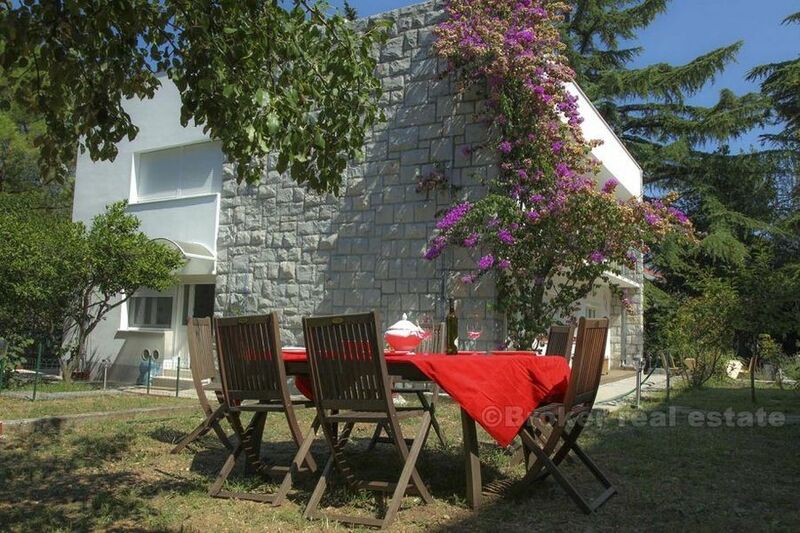 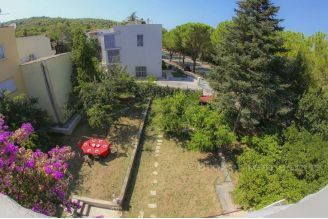 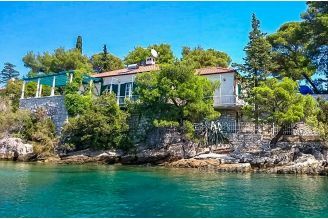 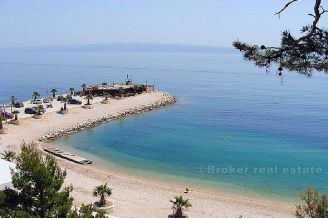 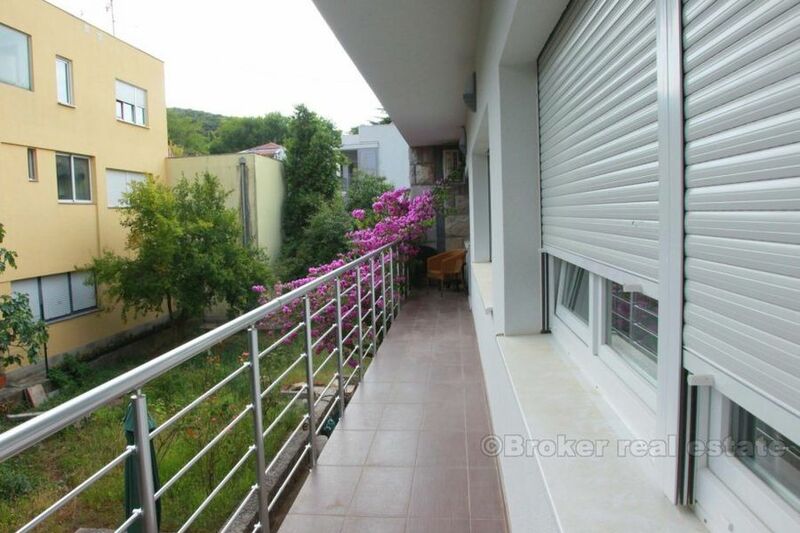 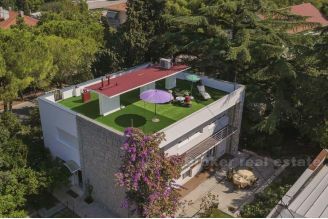 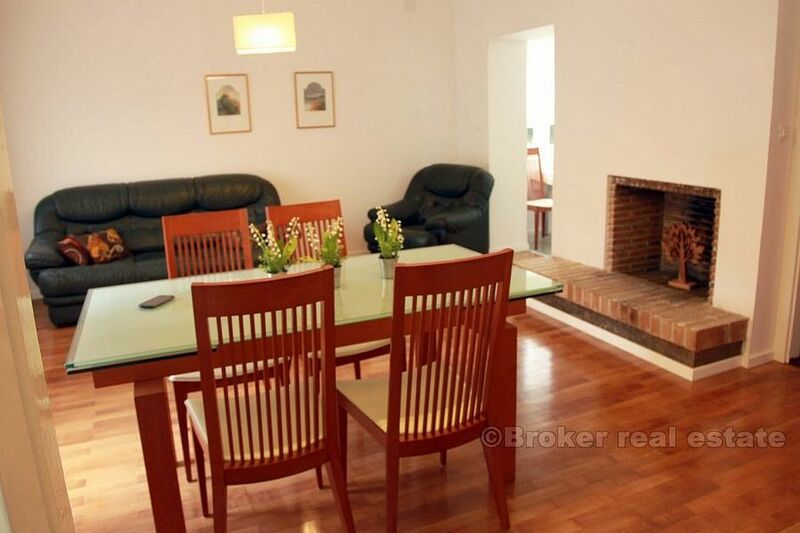 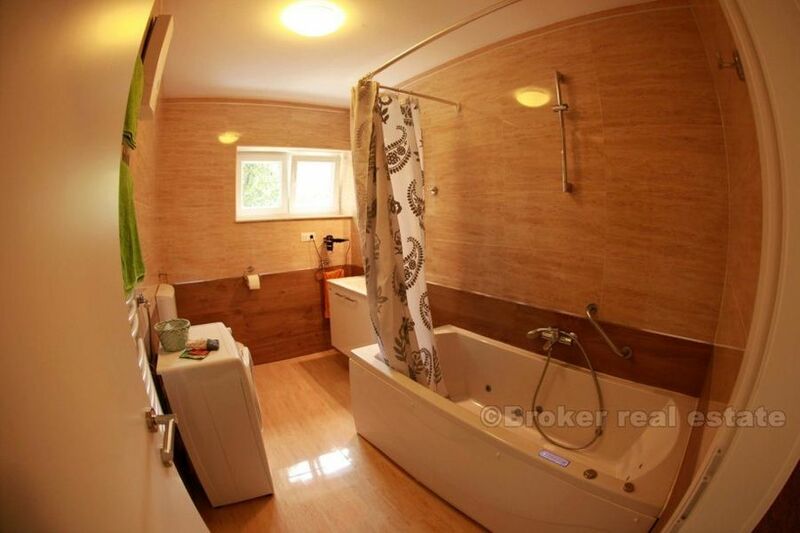 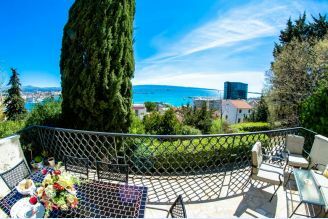 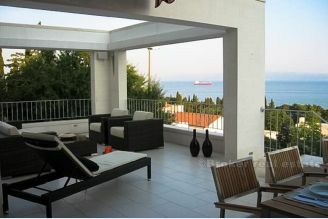 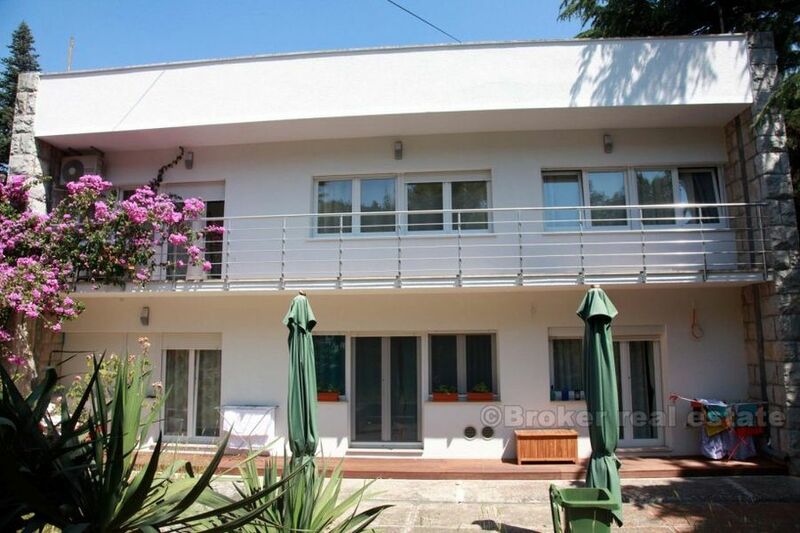 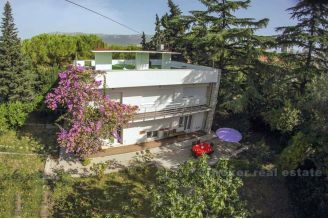 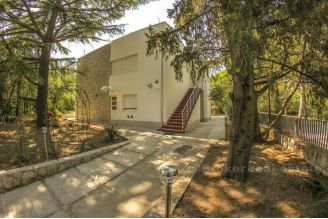 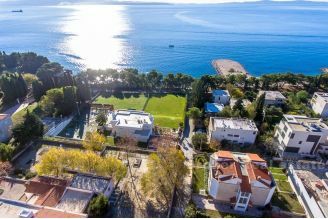 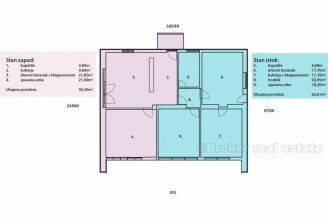 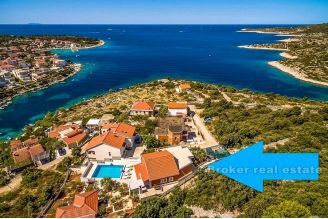 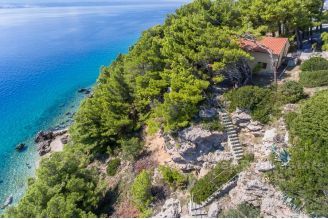 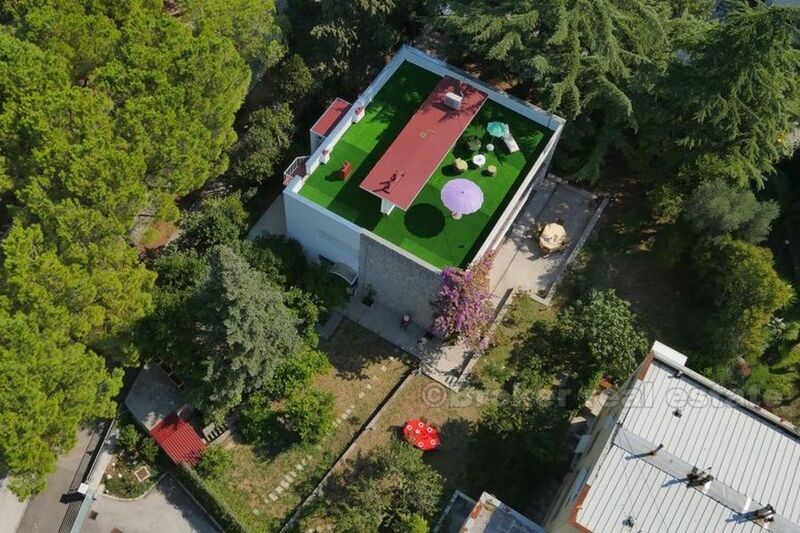 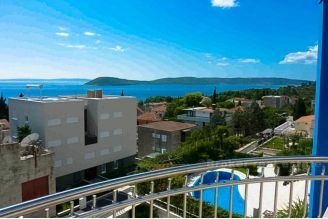 Detached villa, consisting of two floors and roof terrace, only 5min walk from the sea, 10 of the city center, and proximity to Marjan Forest Park. 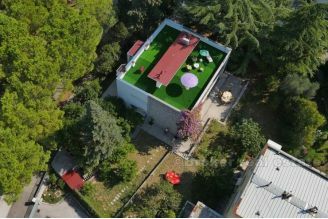 The villa has 164 m2 of living space and is located on 1088 m2 of land. 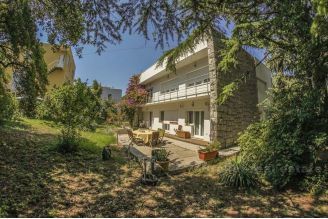 Renovated in 2013., and there is a possibility of extension and third floors. 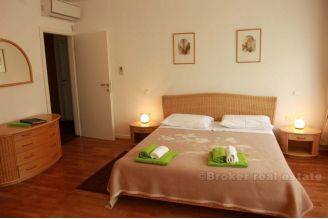 The ground floor consists of 2 apartments. 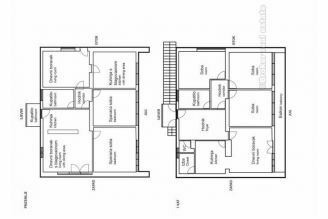 First apartment in the east: kitchen, dining room, living room, hallway, bedroom, bathroom. 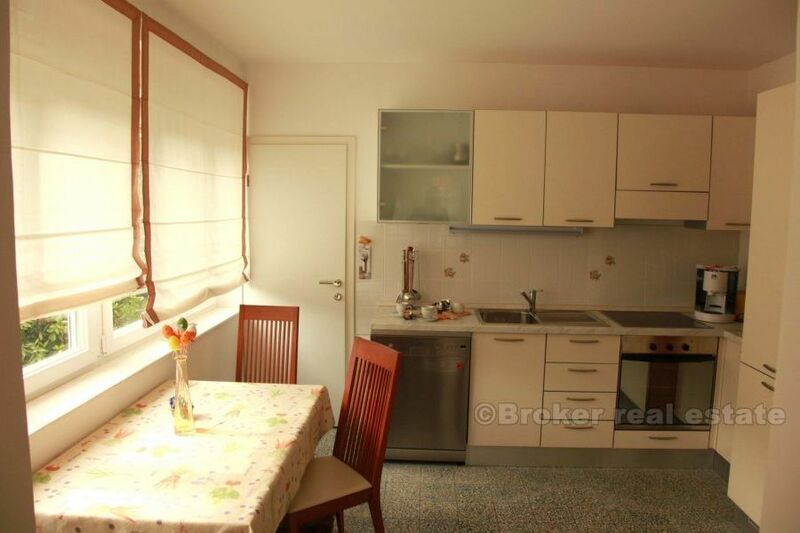 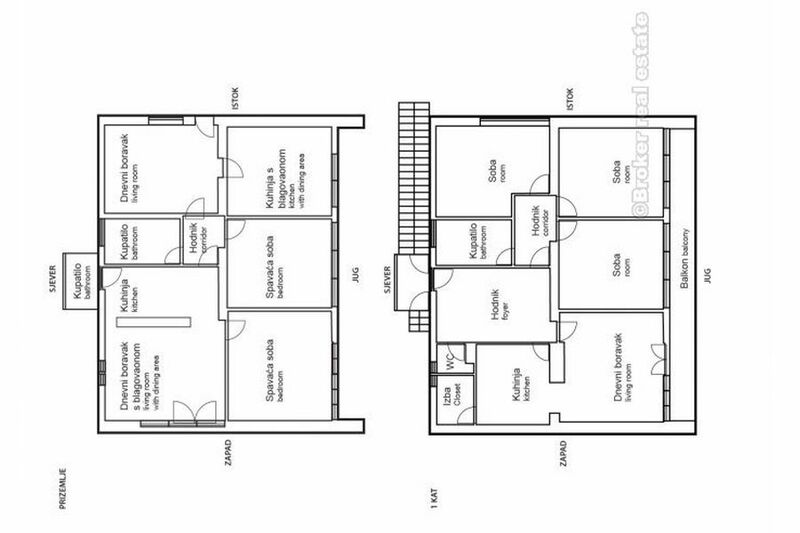 Another apartment in the east: kitchen, dining room and living room, bedroom, bathroom. Communication between the flats there is used as needed. 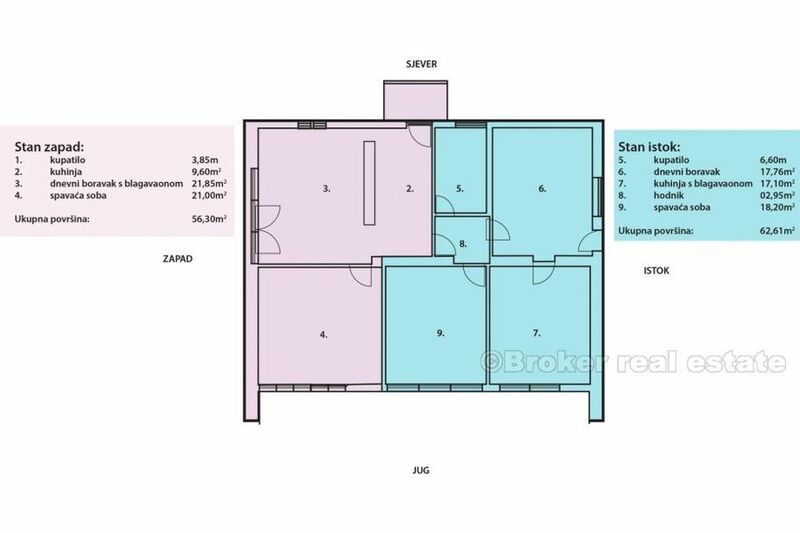 The first floor consists of a hall, kitchen, dining room, living room, 3 bedrooms, bathroom, toilet, balcony.